RSVP for a free California Heat Stress, Confined Spaces and Night Work Compliance and OSHA Appeal Prep Course Webinar on Tuesday, July 9, from 9:00-10:30am. Growers report that Cal/OSHA is currently checking Sonoma County vineyards for violations. Are you up-to-date on heat stress, night work and confined spaces regulations? Please join us for this free webinar with Michael Saqui. He will present critical information geared toward keeping growers legally compliant. Vineyard owners and managers, vineyard management companies and farm labor contractors are encouraged to participate. We will also review various violations and the process, including: building a defense, independent employee action, documentation, evidence gathering and presentation. Discussion includes the various types of citations and why their designations are important to your OSHA record. This webinar is presented by the Sonoma County Winegrowers and Michael Saqui of the Saqui Law Group, Counselors to Management. 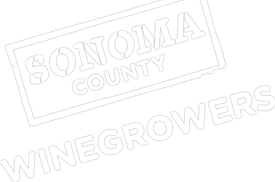 Mr. Saqui provides free trainings and other benefits to Sonoma County grape growers as a partnership with the Sonoma County Winegrape Commission.